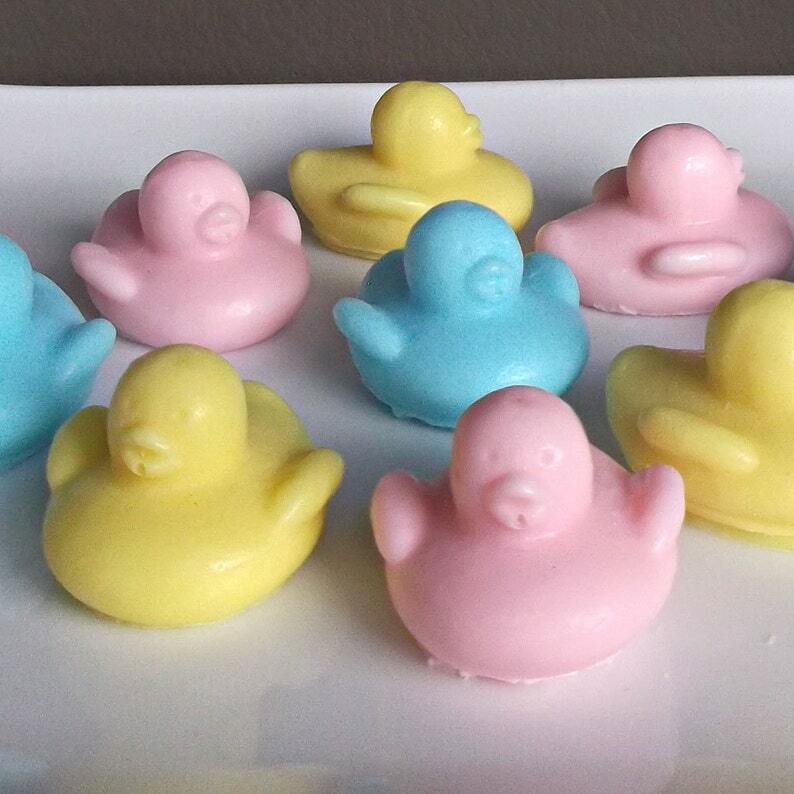 Duck baby shower favors are so cute! Quack! Quack! Duck favors are perfect for a duck baby shower. Duck favors will add to your ducky decor, are unique, and are sure to be a hit at your duck baby shower or duck party. Includes favor tags. Set of 10. Each order comes with 10 soap favors (20 soaps in total, 2 per bag). Duck soap measures approximately 2" x 1 1/2" x 3/4"
Duck soap is packaged in a cellophane bag with a ribbon, "DO NOT EAT" tag and favor tag. 1) Message for your custom tags. See 5th picture. Absolutely loved these favors, couldn't have been more perfect! These soaps are just as adorable in real life as they are on the photos! Made great party favors!